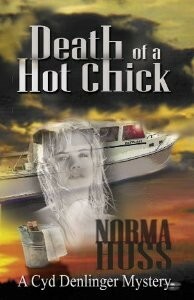 The years my hus­band and I spent sail­ing on Chesa­peake Bay and beyond con­tributed to my mys­tery writ­ing. For one, I found a cou­ple of boats I want­ed to include in my sto­ries. 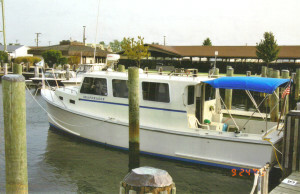 One, a small lob­ster boat con­vert­ed to a live-aboard cruis­er, is front and cen­ter of my sec­ond pub­lished mys­tery. Here’s the pic­ture, and here’s the result­ing cov­er. That’s just one of my sto­ries. As one of the con­trib­u­tors to the Sis­ters in Crime Writes of Pas­sage, I vis­it­ed the Hen­ery Press Blog (no longer active). I told them why I place my mys­ter­ies on Chesa­peake Bay.